The Nokia 808 Pureview wasn't meant to be a surprise, but with a 41MP camera and 1080p video recording, it certainly seems to have turned out that way. The phone is running Symbian Belle, and will probably be one of, if not the, last top end Symbian device to hit the market before all the cool technology gets chucked into Windows Phone. We spent some time with the large-sensored monster, and it certainly is a beast when it comes to picture taking. We're going to spend a lot of time looking at the camera on this new top-end cameraphone, but let's take a quick look at the software underneath. The interface is more finger friendly than before, responding more quickly to swipes under the finger on the home screens (although not as fast as the likes of top end Android phones or the iPhone 4S). The build of the phone isn't that impressive if we're honest – there's a hark back to the likes of the Nokia N97 in the plastic build of the case, and the plastic hard keys on the front are a little cheap-feeling, which we don't expect this phone to be. However, let's talk about the real USP here: the camera. And it, even at this early stage, looks to be pretty darn good. The headline feature is obviously the 41MP camera, and although you can't access all those megapixels, you can take 34MP photos that you can zoom into to dizzying levels. There are a decent range of settings you can play with as well, with things like ISO levels up to 1600 making it a very much a replacement for a normal compact camera. The picture quality is fantastic as well, with zooming in showing a decent level of detail with very little in the way of noise or pixellation. It seems there are two camera modes on offer with the Nokia 808 Pureview, with the 'full resolution' setting letting you shoot at 34MP in 16:9 and 4:3 mode. You can also jump into Pureview mode as well, which limits you to 8MP shots but chucks in a whole load more information into each pic to make it easier for you to blow up your candid snaps. 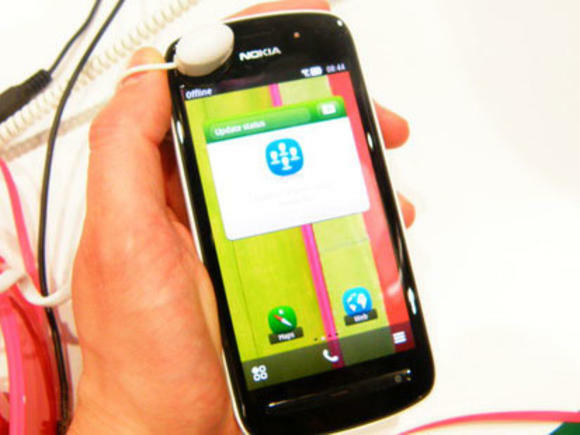 Overall, the Nokia 808 Pureview is pretty much the phone Nokia wanted to make – a bog standard Symbian phone that won't set any pulses racing until its flipped over and the full might of the camera is realised. It's the Nokia N8 made a lot more acceptable to the average consumer that loves to take pictures on the go – but we're more looking forward to seeing similar things on Windows Phones rather than lauding this as the ultimate cameraphone just yet.